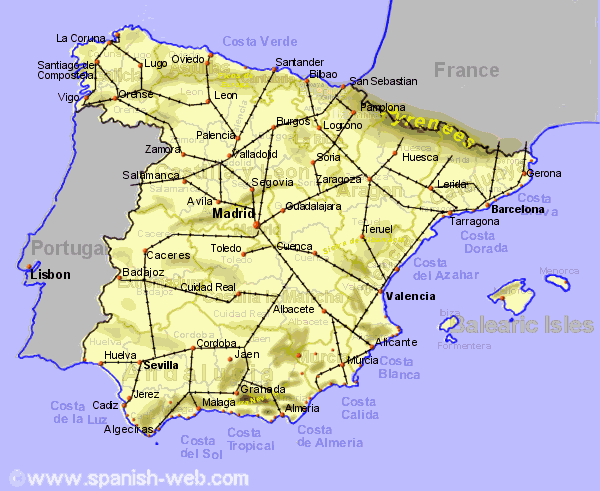 Spain is covered by a reginal rail network connecting most cities though resticted by the mountainous topography. Often there will not be train route where you expect one, ie there are no routes along the north and south coasts at present apart from some tourist lines. The routes are often very windy and single track resulting in slow train journeys, though much improvement is being made. However, the trains are lcean and comfortable, and th eservice generally good.